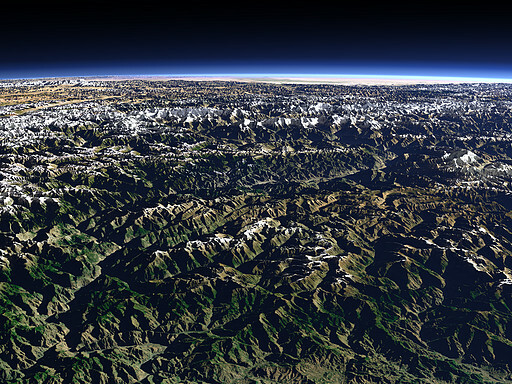 At the west end of the Himalaya mountains marked by the Nanga Parbat (8125m) on the right of this view the Indus River finds its way between the mountains towards the Indian Ocean. 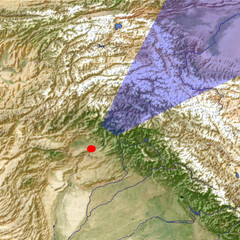 Behind the snow covered peaks of the Karakoram and in the far background the Taklamakan desert. This is superb and one of the best ISO views which I have ever seen. And try to do some motion like from which user can rotate it required angle and move up and down and can have a take a fly-through from that section …..
Hope to see al these features in future.